A Happy Healthy Mummy: Mum meets multi-sport! Since the London Olympics, triathlon has enjoyed significant growth in Great Britain - with events increasing by 63 per cent from 2012 to 2016. And that applies across the board in terms of gender and age too - making the option of entering such an event a possibility for both you and your kids. And now multi-sport events are being made all the more accessible to first timers through the GO TRI initiative backed by Triathlon England. The nationwide GO TRI events and training sessions are a cheap and fun way to access triathlon for the first time. The distances covered are designed for beginners - and often you'll have all the kit you need already. You can try a duathlon (combining cycling and running), a triathlon (with a swim, cycle and run) or an aquathlon (a swim/run combo), all of which take place against a continuously running clock. To find an event close to you, search here. 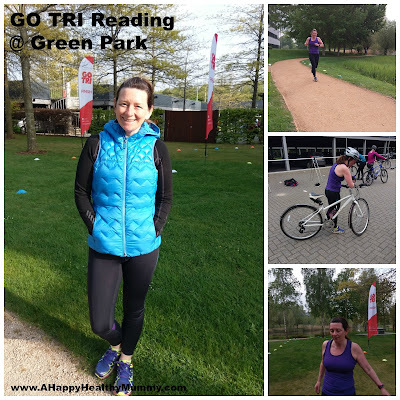 Nobody likes being new, but rocking up to GO TRI Reading was a piece of cake (the organisers actually had made cake - brownies and lemon drizzle since you ask). These small (under 50 entrants) events run once a month on Sunday mornings (except in August, when there's an evening triathlon during the week) - and everyone was friendly. There was a smattering of people who clearly know their way around a tri-suit but there's also plenty of people like me, who like to work out but don't have any hope of making it to Team GB, like ever. 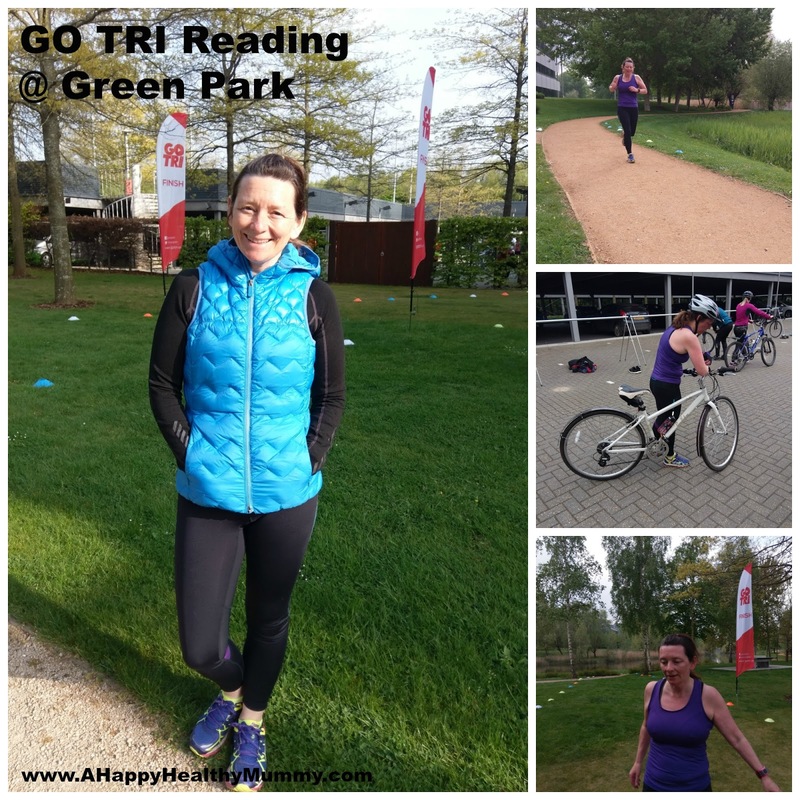 The April event was a duathlon, with an off-road 2k run around a lake, an 8k cycle around Green Park where the only traffic I saw was the security man in his van, and then back to the lake for another 2k run. I had to get there for registration from 8am, with the race starting at 9am. I racked my bike, got my name ticked off the list and waited for the straightforward briefing and warmup. The entry fee was a little over a tenner, and I used my very-average hybrid bike and normal running trainers. By 10am, it was over and the lemon drizzle had been happily consumed. I'd completed a duathlon before the shops were even open! My time was (what I think is!) a respectable 47 mins 47 secs (a little OCD there), the winner had nailed it in just under 28 mins. All I can say is cycling leaves a lot to be desired!!! However, I was the only one judging me, so it is a great way to gain some experience in these events - without feeling in the way of the professionals. It's also a good workout in itself if you have no plans to take it any further. Could you be a multi-sport mum?